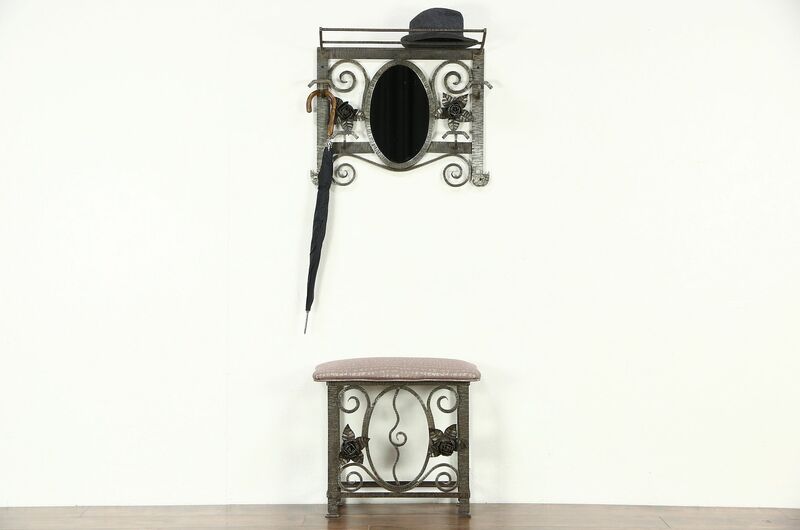 A wrought iron hall bench with a wall mounted mirror, hat and coat rack is dramatic vintage furniture, hand crafted in Italy in the 1930's. There is a spot on the upholstered seat, see photos. The bench is 24" wide, 12-1/2" deep, 22" high. The wall mirror is 27" wide, 11-1/2" deep, 21" high.